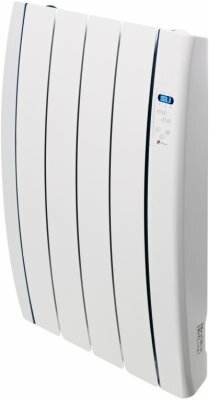 Meet the brilliant Haverland Designer RC4TT wall mounted electric heater. Moving away from conventional central heating systems, the 'Designer RCTT' range is the way forward, using 'clean technology' to keep your interior decor stain, soot and dust free. Ordering and paying on line was straight forward and gave confidence. Product delivered quicker than expected. 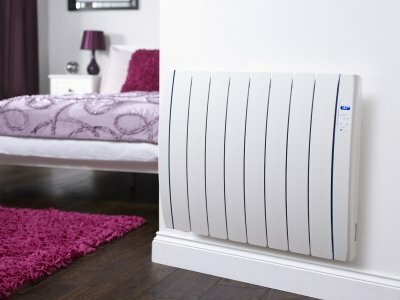 The heater was as advertised and fitted well in existing system. Fantastic to hear, thank you very much for the really great review of our website and service. They are neat attractive and economical to use. Bought online from easy to use website. Thank you for your great review of our service and fast delivery, it is very much appreciated. Looks good. Very functional with lots of options. Easy to install. Bought a heater online. Quick and easy. Delivered as stated. Quality product. Great. Fantastic, thank you for the really great positive review of our service. Have not installed this particular heater at this time but have others which are very good. Have ordered items from the Heater Shop in the past and again excellent service and fast delivery of my order. Fantastic, thank you for taking the time to review us and for your return business. We very much look forward to hearing from you again in the future. Would definately re order in future. Very impressed with the heater. Would, and will, recommend to friends. 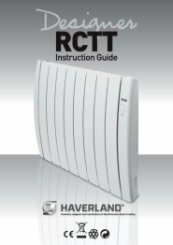 The Haverland RCTT is a fantastic heater. I'm really pleased that you are so happy with it that you would recommend it too. That's really fantastic, thank you very much for the great review. Excellent service. The only let down was having signed up as a trade customer to receive the exclusive TRADE discount, only to be told there was no trade discount! was a to say the least disappointing. Excellent service with delivery when promised. Will use again. Thank you for the great feedback of both our service and efficient delivery, it is very much appreciated. That is great to hear, thanks for the great comments. 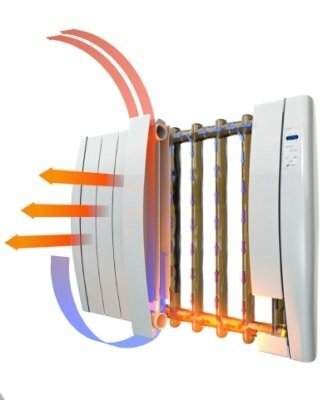 Thank you for your great review of the Haverland RCTT designer electric radiator and for the feedback of of our service. The heater is fabulous and has been a brilliant purchase. The whole process was easy to use. That is really great to hear, thank you for your review. Superb product. Would definitely recommend. Thank you very much for your fantastic feedback and for rating us as excellent. We very much look forward to any recommendations that you make. Up to date works fine but only been used for a short time. Would be better if you asked about it in 6 months time. Looks very up to date. Product well packed and shipped on time. Thank you for taking the time to review us, we appreciate it greatly. Great service. Offered me a discount on a similar product when the one I was interested in was not immediately available. Was delivered next day. 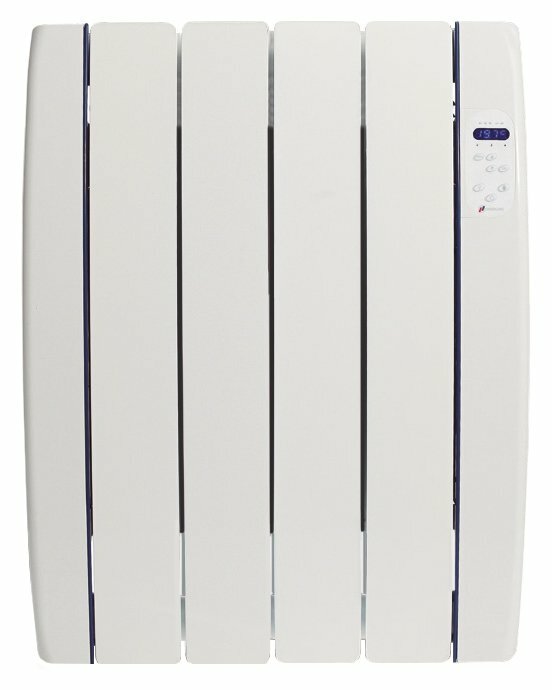 Thank you for your great feedback of the Haverland RCTT Designer Electric Radiator. As above. Neat size as second I'm the room. 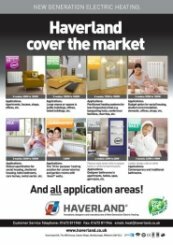 Thank you very much for taking the time to review the Haverland RCTT electric radiator. 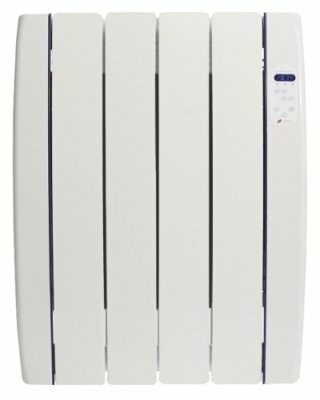 Thank you for taking the time to review the Haverland RCTT, it is an excellent electric radiator. Thank you for your great review and repeat custom, it is very much appreciated. Have only had the radiator for a short while, it's used in my son's room which is located over the garage and gets cold at night. The radiator is placed beneath the window and looks great and really easy to operate. It's set to automatically come on to ensure room doesn't drop below 18.5 degree's and so far it is doing that job admirable. I have a separate digital thermometer in the room and the room is keeping comfortable over night. I like that you can switch radiator display between the time and temperature and of course switch the display off too, the latter essential for bedrooms. If I have any gripe I would have liked the power cable to have been a couple of feet longer. No complaints, radiator was delivered on time and packaged well, price was best around. Will certainly recommend to others, thumbs up from me. Thank you very much for taking the time to leave great feedback, we appreciate it very much. These heaters are excellent quality and design. We were contacted prior to delivery to check delivery dates. They were delivered as promised. That's fantastic, thank you for your review. Thank you for reviewing us as excellent, it is very much appreciated. I just ordered a number of heaters from them.. This was a professional and informed service. Delivery was quick and safely package.. The price was the best I found. So I'll be more than happy to use them on my next project. We are really glad that you are happy with both service and the product and look forward to helping you on your next project. 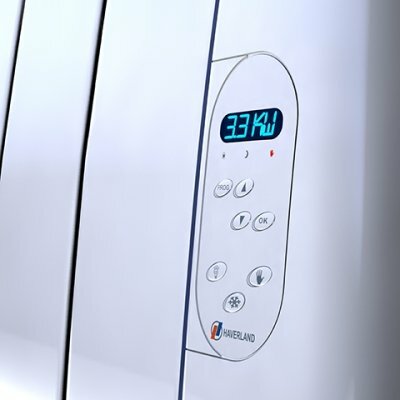 If you need any advice on setting up your new Haverland Designer Electric Radiator to run efficiently, please do not hesitate to contact us on 01473 276686. Attractive design, seems well made, as described on website, easy to fix to wall. Too early to comment on how economic it is. Range of timed programs to choose from or you can set your own. Thank you for your positive feedback. We continuously improve our website thanks to helpful reviews like yours. Nice looking and does the job. Timer easy to use and very handy plus you can opt for manual without disturbing your settings. We are pleased that we were able to offer great value and quick delivery for you. 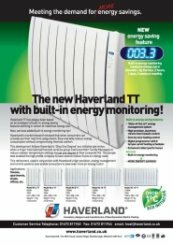 The Haverland RC4TT Designer electric radiator is a fantastic radiator and we are happy that you are so pleased with it. If you need any further assistance in the future, please contact us on 01473 276686. Thank you very much for your fantastic feedback and high recommendation, we are very grateful of the excellent review.